Join Me for the August Quilt Dash! I have SO MUCH FUN each month, surfing online quilt shops, websites and blogs through Quilt Dash. There’s always something new and different, something I can’t live without and something shiny that catches my attention…until I whip out my debit card and buy it. 🙂 And I’m never disappointed at my purchases, either! I do not understand where to find the “quilt dash icon” to click on your website. 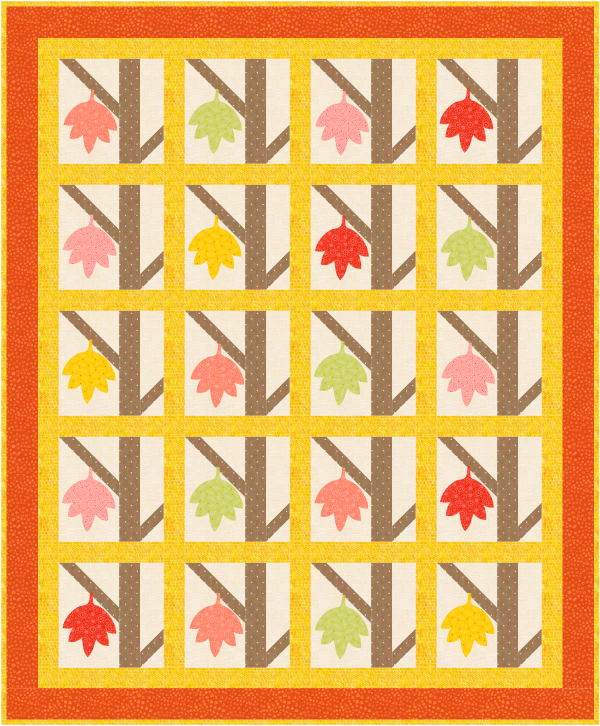 I would love to finish the August Quilt Dash but this is the only site I cannot find the found it block. Even when I sent a request asking if it had been posted yet, since I have checked the whole site and can’t find it, I got no response. I must be really good at hiding my images…or really good at obscure hints! Please search for “The Color of Fall” (no quotes). I’m with all those other hunters who cannot find your icon. It is really hidden well. My search section will not search so it does no good to search there for the color of fall. I’ve looked everywhere for the last week but to no avail. This is the only site I haven’t found the icon on. Please help! Can’t find the icon on this blog. Found the words the color of fall but their is not icon and it has no link. I still can not find the icon and I have search your site several times and still no luck. So where is it. Please read the reply to Marjorie Hendrich’s comment. how do you get on your blogging site? CC, you are already on my blogging site. 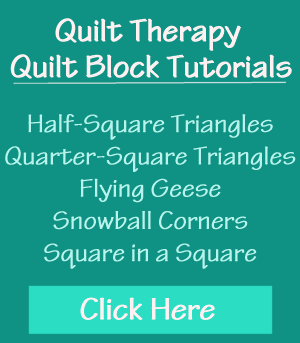 https://QuiltTherapy.com is my blog. I could not find a search box other than the one that goes to Amazon. Gail, there’s a magnifying glass image in the upper right hand corner of my logo. If you click on it, it will open up a box where you can type in the text of what you’re searching for. Deanna: The goal of Quilt Dash is to bring quilters to quilt shops & websites. By making you ‘work’ to find the ‘found’ image, you get to have a look around my blog. Maybe there’s something you see that you may not know about, such as my free quilt block patterns, or a free recipe or two or even some free quilt patterns from various designers. It actually shouldn’t be easy to find the image, it should be exactly as I have done on my blog. Again, so you will have a chance to look around and see what Quilt Therapy is all about. I’m sorry that you feel it takes all the fun out of hunting, except, hunting is also exactly what I described earlier in this comment. Look for an email from me with another hint so that you can complete the August Quilt Dash. Thank you so much for your extra help. I finally did find the icon following your hint but when I went back to see if I could find it on my own, I couldn’t. Maybe my computer is to blame. I couldn’t get the search box to search. It just deleted my search. I really did enjoy looking at all your blocks and seeing what you have, but after the 4th or 5th time through it wasn’t fun. Again, thanks for your help. I did get the hunt finished.